Silly title, I know, but I really feel that’s what’s been happening around here lately. I sort and pack boxes and try to fit some food in between. I suppose I should photograph some of my food ON the boxes…that would be fun. But no, I don’t think so. Anyway, It’s time for What I Ate Wednesday hostessed by Jenn at Peas & Crayons. Be sure to check out the other foodies when you’re finished here at BCDC. Bet they won’t be whining about boxes over there! My meals are from all over the place this week. 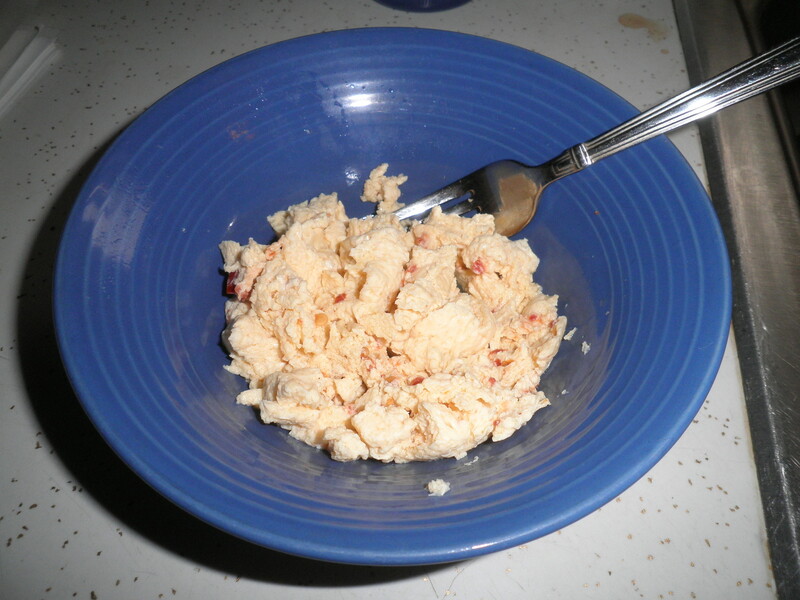 One of my favorite breakfasts…egg substitute, egg whites and garlic chili sauce. I like this so much that I had eaten half before I remembered to do a photo. It’s way bigger than this to start. 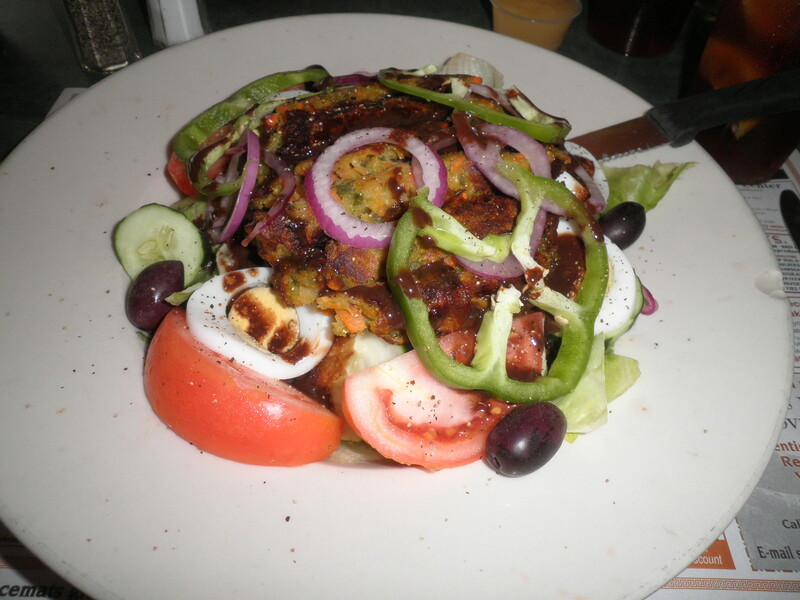 Veggie burger on a salad…Yum!! I actually had this twice this week…I know what I like. 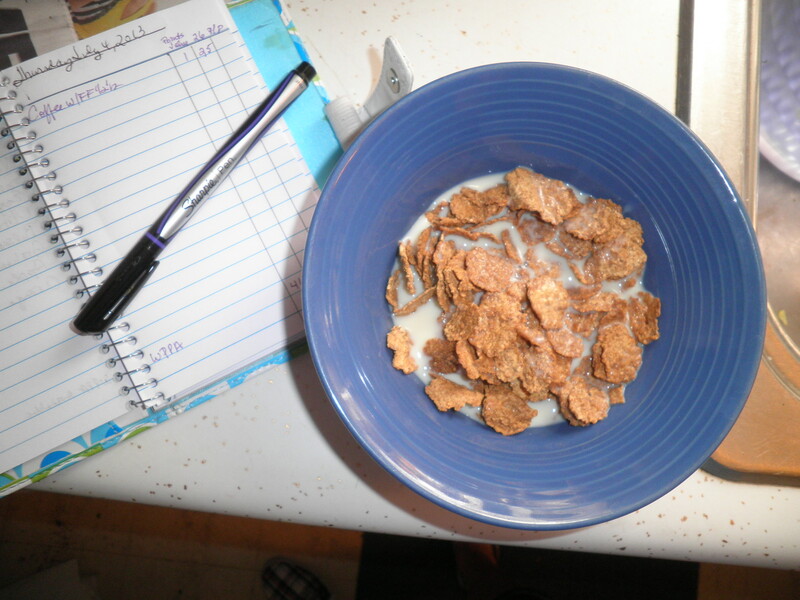 Another favorite this week has been bran flakes and soy milk. I’m trying to get breakfast in on a more regular basis and I really like this! Fourth of July at Ele’s house! 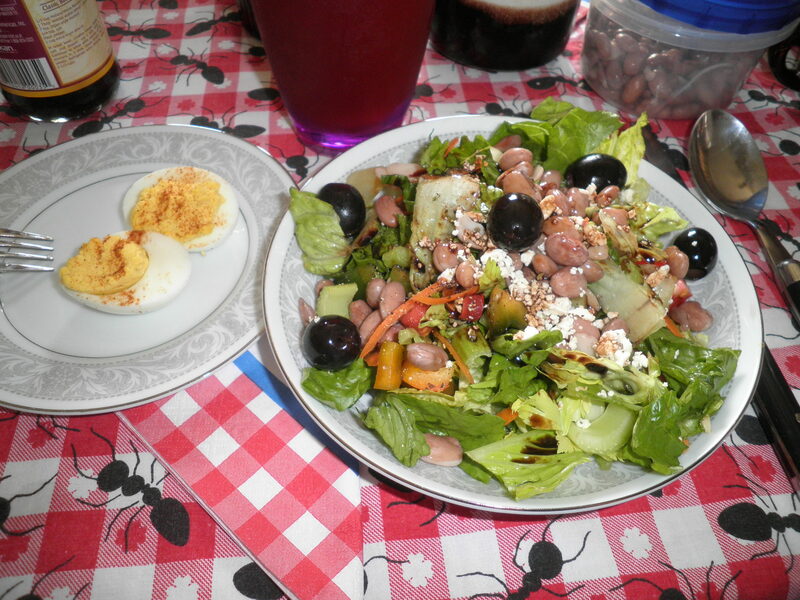 I made the big salad and brought my own beans. I had two bowls that looked just like this. Love Ele’s deviled eggs…Yum!! 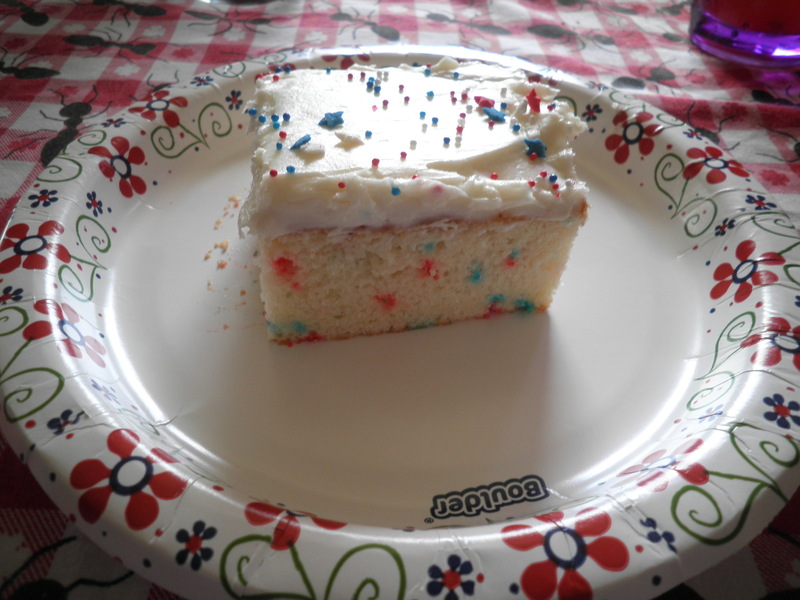 Ok…so there was Funfetti cake for dessert…so good! Ele makes the best cakes! 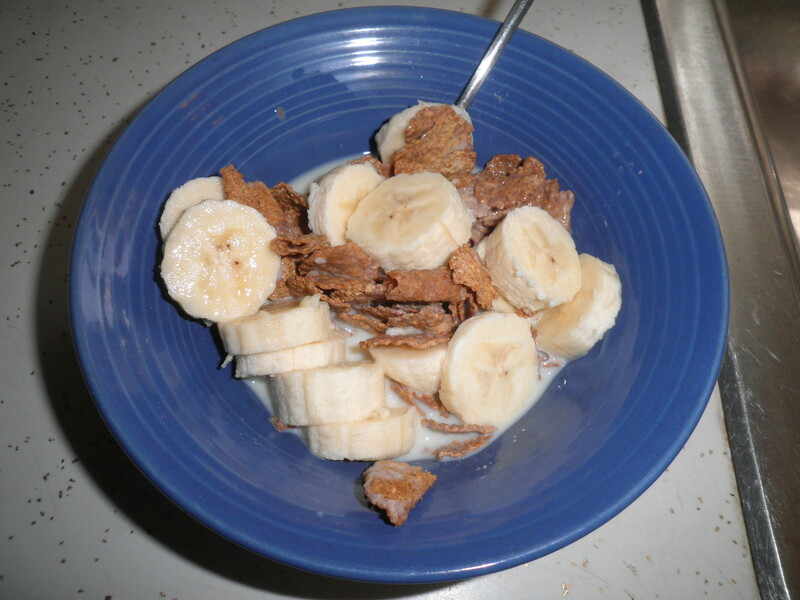 Bran flakes and soy milk again…this time with banana! I’m happy that I’ve been doing better with breakfasts lately. 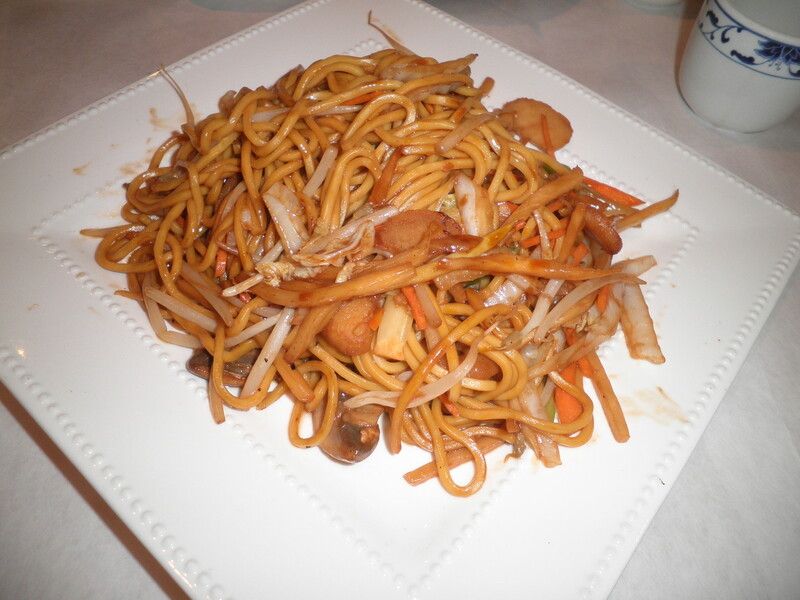 Vegetable lo mein. I haven’t had it in a long time and I really enjoyed it. Ok…so there Had to be ice cream somewhere this week! 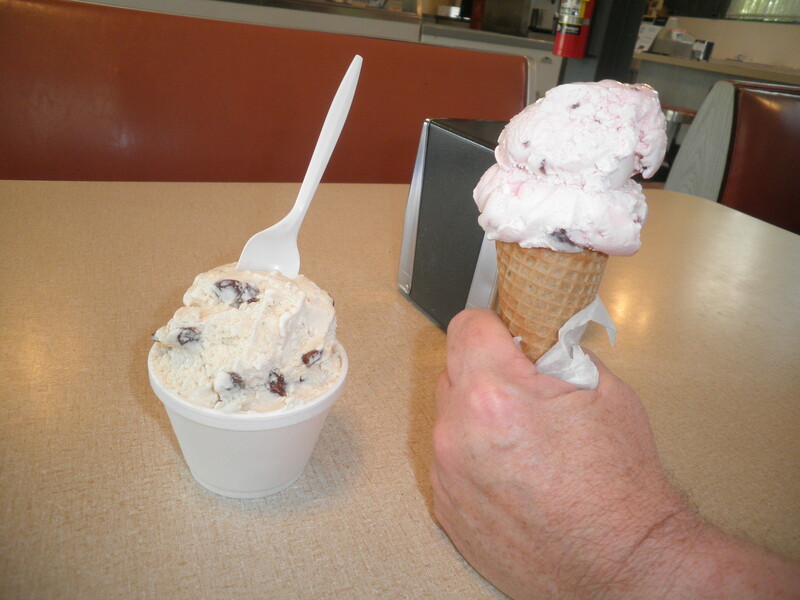 I had rum raisin and Ralph had black cherry. So good. We’ve got to make the most of it…they close in September!! …and just to prove my point…one last breakfast. 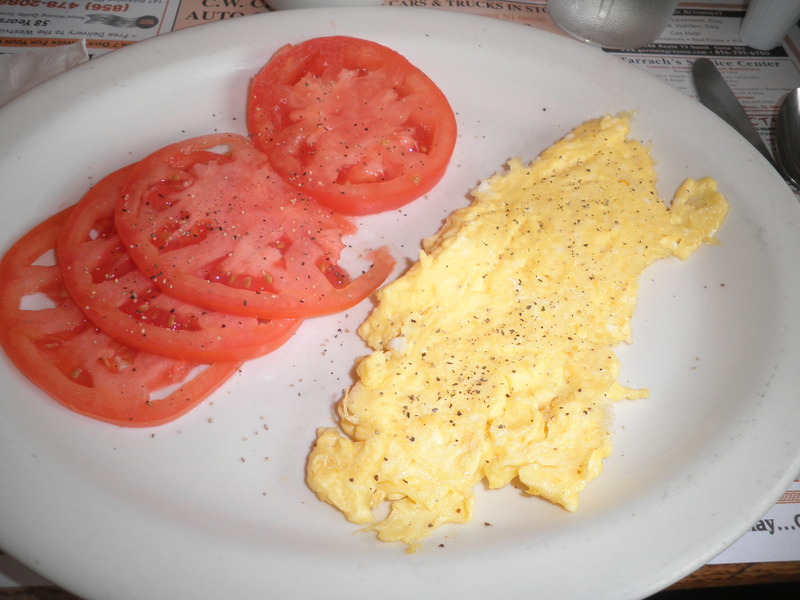 Scrambled eggs and sliced tomatoes. Always a winner. So that’s WIAW for this week. Be sure to check out the food gang over at Peas & Crayons. There’s always something to drool over! This entry was posted in Uncategorized and tagged beans, salads, sorting and packing, WIAW. Bookmark the permalink. Christine, you’re right. It’s the cold/crunch combo that I’m enjoying…hadn’t thought of that! Have a great day! everything looks delicious! though, your eggs don’t have ketchup on them. and you know how i feel about that. funfetti cake is my favorite! and i got on a cereal kick yesterday, and had it for dinner. happy wiaw! Breakfast is my favorite meal of the day, regardless of what time I eat it. Great job on the big salad. I never ate breakfast before joining Weight Watchers. I still fall off the breakfast wagon sometimes but I know I need to eat it. I love breakfast foods, just not always a breakfast time. 😉 The Big Salad…joy of my life! I’m always looking for good Chinese food…where do you like? Hi Chris! 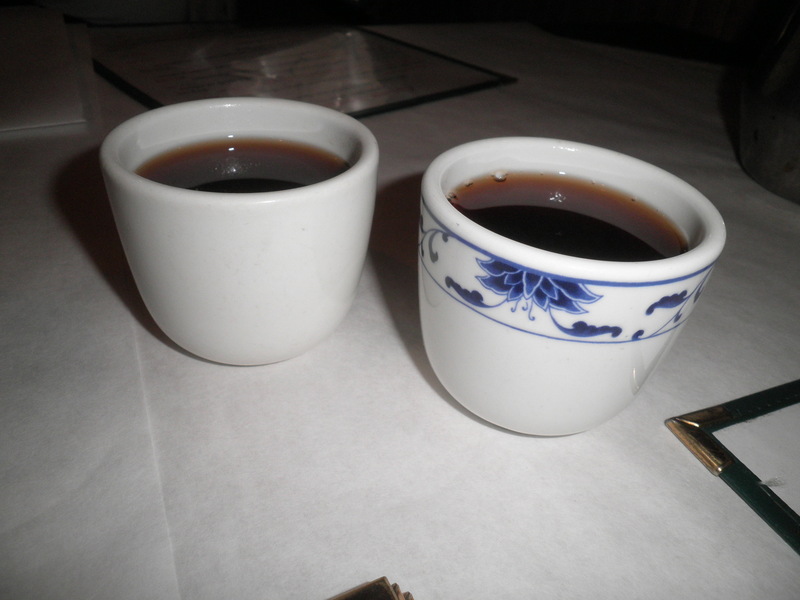 This was from China House in Woodbury. We also like Sakana on Rt. 45 near Southwood shopping center. They have a spicy eggplant dish that I love. I ask them to add tofu and it’s wonderful! The people in both places are very pleasant.